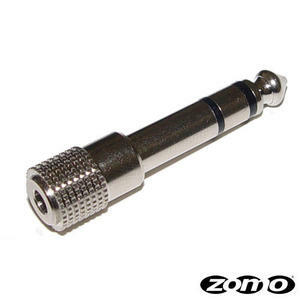 The Zomo KA-2 is an extremely useful and popular adapter plug for jack ports. It was especially designed by Zomo to enlarge a 3.5 mm jack plug to 6.3 mm. So it is no problem to connect for example your headphone without any problems to your mixer. The KA-2 is nickelplated and offers therefore best quality of conduct.